Tools and Tips for Digital Marketers. Choose Your Website Builder Wisely! There are roughly three types of people who build websites professionally. This doesn’t include your nephew who was born techy. Nor does it include your father-in-law who happens to know DOS. And it doesn’t include your friend who is going to help you drag and drop content into a canned template. The three kinds of professionals who most often build websites are graphic designers, website developers, and internet (or digital) marketers. Each has a unique skill set and each one does some parts of the project better than others. 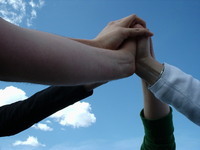 Depending on your needs, you may find yourself working with one or all three at different times. Designers: Graphic designers are especially good at making things look beautiful. Their websites look great, and they often use the newest navigation styles, most up to the minute color schemes, and gorgeous graphics. They also can create or tweak logos, and create charts and other images for your website design. Designers are generally not as skilled at coding as developers and not as well versed in search engine optimization (SEO) as internet marketers. As a result, a designer will sometimes hire a developer to complete certain aspects of the project. Unfortunately, most do not consider onsite SEO to be part of their responsibility and you as a client are usually going to get a great looking website that won’t perform as well in search engine results as it could. Be sure to hire an internet marketing consultant to finish the SEO work so your website can be found by your customers. Developers: Developers are great at making things on your website work. When you have an idea for functionality that doesn’t exist, a developer is the only one who can make it happen. They are great at taking a well thought out graphic design and turning it into a fully functioning website. Talk to a developer about customizing plugins, creating custom calendars, and making content perform in unusual ways on your website. They often work with graphic designers to create the website’s ‘look’ and then make that happen with several kinds of code. Most developers do not consider onsite SEO to be part of their job, so you will have to ask for it specifically or hire an internet marketer to finish your website. Internet marketers: Marketing is all about promoting and selling your products and services. Internet marketers, also called digital marketers, do build websites. But they also work to make your website generate leads and sales using keyword research and SEO (search engine optimization) strategies, online advertising, social media, email campaigns, content creation and distribution, and other tools, always monitoring and adjusting to build sales. Graphic designers and developers build websites, but internet marketers will help generate new business after it’s launched. This comes from both onsite and offsite SEO, or the process of getting your website pages found by users who are searching for your products and services. Creating a website without a comprehensive SEO plan often results in expensive and time consuming delays in getting new leads and sales. And after all, that’s why you are building a website, isn’t it? How do I Choose a Website Provider? It really depends on what you need and what you can provide yourself. Graphic designers and developers are extremely talented people who often perform a support function in your overall digital marketing plan. They are great for providing a look or building out a concept, but they seldom develop or execute your digital marketing strategy. And we may be a little prejudiced, but we think that’s pretty important. For some businesses, especially those with full marketing and SEO support services in-house, a website may be all they need. But without those functions to help publicize and sell your product or service, you would use an internet marketing agency to fulfill the gap. They are the only providers who can design and build your website for you and then provide the ongoing SEO services you need to generate ranking, traffic, leads, and sales. For the best search engine results, you may want to consider the full-service approach that only internet marketers can provide. Need more information? Give us a call. We’ll help you sort out your needs and provide a free SEO Audit of your current web presence. Get Your Free SEO Audit and Consultation! Check Out Our Recent Articles! Digital Marketing 2018. Fresh Year. Fresh Start. 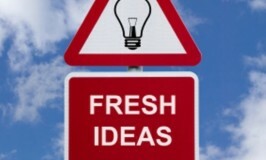 Click on These Categories for Fresh Marketing Ideas. Ever wondered where the phrase “Content is King” stemmed from?